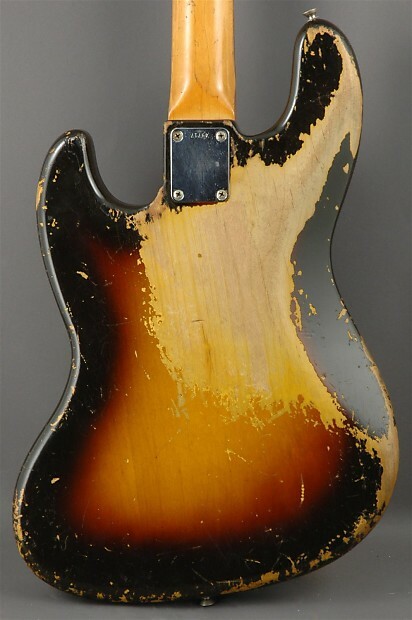 Jazz Basses from 1960 -- the first year of Jazz Bass production -- rank as some of the most highly prized and collectable bass guitars in the world. 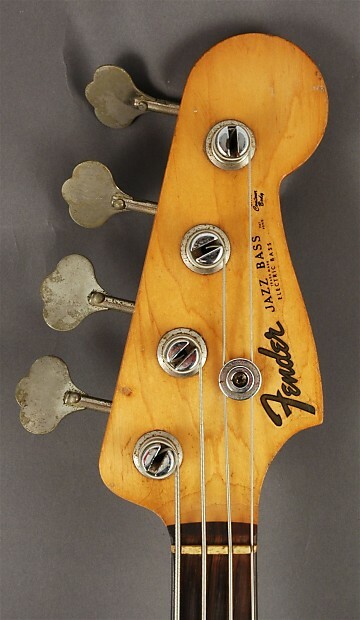 The Jazz Bass was introduced as a higher-end counterpart to the revolutionary Precision Bass taking visual queues from the ultra-modern Jazzmaster (introduced in 1958), and including a narrower neck at the nut and closer string spacing. 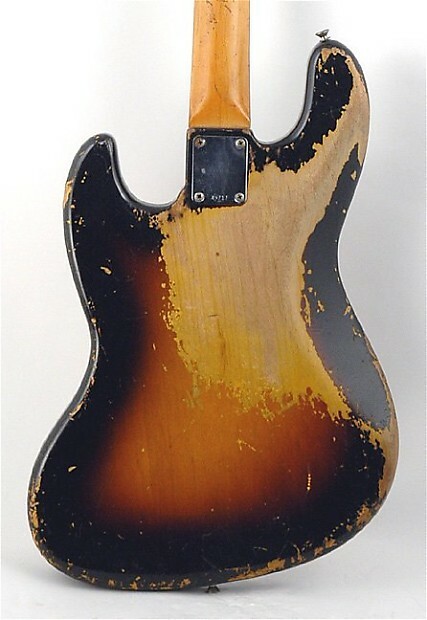 Also new for the Jazz Bass were a pair of single-coil pickups with two pole-pieces for each string on both, which produced punchier, brighter tones than earlier Fender basses. The Jazz Bass was rapidly embraced by players from a huge array of styles and genres, and has remained in steady production ever since. 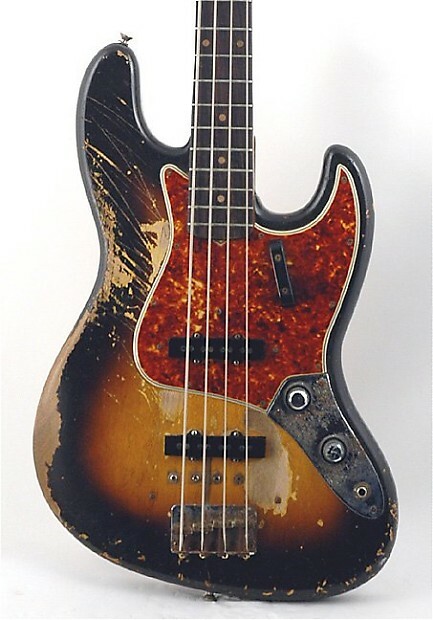 Unique to this Year: The original Jazz bass included two "stacked" control knobs that were switched to a three knob configuration in mid-1962. 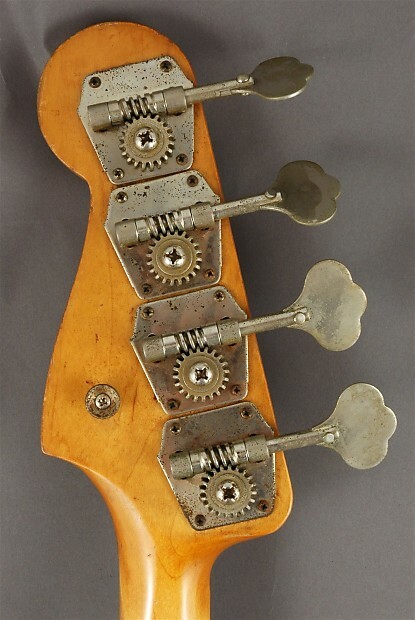 The first Jazz Basses also came with individual string mutes at the bridge as well as bridge and pickup covers that most players opted to remove.